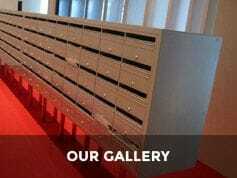 Project Products is a leading supplier of quality letterboxes throughout Melbourne, Victoria, and South Australia. Since 2001, Project Products has been supplying Mailsafe Mailboxes, working closely with builders and architects to provide high-quality and functional mailbox solutions. We offer several ranges of contemporary mailboxes, suitable for both apartment and multi-unit developments, together with single letterboxes for houses. 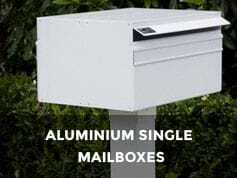 We are now supplying the Robert Plumb range of eye-catching stainless steel single letterboxes for premium homes. Whether you need a multi mailbox bank or a single letterbox, we'll have the right solution to ensure a strong design statement and purpose-built functionality for your project. 03 5975 5551 or request a quote through our website. Mailsafe Mailboxes are made to order, however we carry a limited number of single boxes and discounted mailbox banks, which are available for immediate sale. 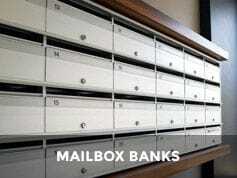 Please take look at our in stock letterboxes. Mon to Thurs 8.00am to 4.30pm.